Ever search for a restaurant you want to visit on Google, and then what appears next is a number of totally different places instead of the restaurant you are searching for? If that has ever happened to you, then the restaurant you were looking for has made a bad decision in choosing their restaurant’s name. Why? Believe it or not, a brand’s name plays a crucial role in SEO. 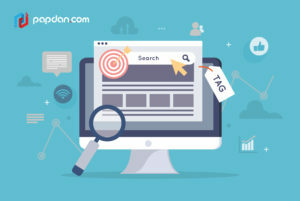 If you are a business owner hiring SEO services to help your business grow, then you must consider naming your brand properly and uniquely. This article will tell you how important your brand’s name when it comes to SEO. Keep reading to find out! How important is a brand’s name? Well, most of you may already know Vin Diesel from his big role in Fast and Furious movies. Did you know that his name used to be Mark Sinclair? Surprised? Yeah, me too, when I first found out about it. But, have you ever wondered why he changed his name? Apparently, according to the information from people.com, he changed his name because Mark Sinclair wasn’t tough enough in Hollywood. The same goes with a brand’s name. A name can either make or break your brand, because the name of your brand will represent your brand’s authenticity, originality, characteristics, and uniqueness. As mentioned in the previous paragraph, if your brand’s name is still similar to other brands, or if your brand’s name is too general, then it will be difficult for people to find you. For example, you own a hair salon, and you recklessly name your salon “Beautiful Hair Salon.” Well, it might be a nice name, but when you search the name on Google, there will be plenty of salons using similar names and therefore making it difficult for you to rank high. Aside from that, “Beautiful Hair Salon” has ambiguous meanings that it can translate into “a hair salon that is beautiful” as well. Then, how do we create a proper brand’s name? First, think of a name that represents you but in a unique way. You can also use your own name for that. For example, if you own a cake shop and your name is Sharon, maybe you can use this name: ShareOn Cake by Sharon. However, be careful with the space. If you separate Share and On, it would be a general phrase with common and mixed ambiguous search results. Therefore, it is better for you to Google it first to make sure you are not creating any ambiguous or similar names with other things found on search engines. This will also let you know whether there are cake shops with the similar name or not. The next step is to decide the targeted keywords that you will be focusing on for SEO purposes. When you type specific kinds of keywords on search engines, chances are, you will find millions of results. For example, if you type “delicious cakes” only, you will get millions of results. But that is not necessarily a good thing. Why? That is because you will get tougher competitions in terms of ranking. Therefore, it will be difficult for you to start up. On the other hand, if you type “delicious cakes in (your region and more specific region)”, though the results may reach to 800-100.000, it is less competitive and you will get more chances with the rank. Last but not the least, shape your brand’s name with brand identity that will also explain the real origin of your brand’s name choice. This will strengthen your brand’s name and boost your brand awareness. That’s how important a brand’s name for your business and how to make a proper brand’s name. I hope this gives you insights on what to do before starting out a new business. If you have any question about SEO or brand shaping, feel free to contact us and our professional team will be glad to help. This entry was posted in Article and tagged agency, business, content, design, designer, developer, development, google, layout, marketing, Melbourne web designer, online, programmer, search engine, search engine optimisation, search engine optimization, social media, tips, web design, web designer, web developer, web developer agency, web development, website, website designer, website development on July 23, 2018 by Mario.